Scottsville/Rochester: On February 28, 2018. Survived by his loving partner of 30 years Joyce L. Miller; parents William & Mary (Nunn) O’Neill; siblings Colleen (Kevin) Mangan, Mary Jean O’Neill, Terrence (Trisha) O’Neill, Tracy O’Neill; 10 nieces and nephews. Steve will always be remembered for his generosity & kindness for the less fortunate. His sense of humor & competitive spirit served him well in his passionate pursuit of the perfect round of golf. 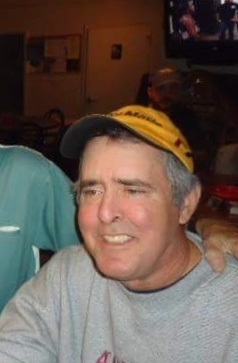 Steve was a PGA Golf Professional and was a long-time owner of Cardinal Creek Golf Course. He had great love for his dogs and his favorite band, the Rolling Stones. A celebration of Steve’s life will be planned at a later date.